Link. Published on August 03, 2016 by Pavo Textiles. Arizona holds a special place in our hearts. I remember renting our huge white van to haul all of our gear to IBC. Waking up while it was still dark to start our drive across the desert, being pulled over by the fuzz for speeding across said desert and then IBC (I think there is an IG post out there somewhere documenting this moment). Where do I even begin? Needless to say, Arizona is indeed a remarkable place and we are so excited to be returning. I still don't know what a sundevil is. When and where will Arizona trunk show be held? Tickets will be listed on March 24 at noon PDT on our website. No. Please email us to cancel your ticket if you are unable to attend the event. Will names be printed on the tickets and cross checked with identification for entry? Everyone is checked against our master list at the entrance to the venue. Those not on the list will not be admitted. There is the possibility that we might have tickets available for purchase at the door, but they are not guaranteed. For those with VIP tickets, the event will open at 12:00. For those with General Admission tickets, the event will open at 1:00. If Pavotees would like to have an after party / evening of celebration, they are welcome to do so! Unfortunately, we are typically unable to attend as we are obligated to close out the event, take care of inventory, accounting and other routine chores, but we will do our best to make time for our Pavotees after the event. Unfortunately, we do not know the answer to this question. Our tickets for Pavo Presents Florida did not sell out, but our tickets for Pavo Presents Asheville sold out right away! What will be the exclusive VIP wrap for the Pavo Presents Arizona? The VIPavotee wrap for Arizona will be Aerie Ink, an brilliant new addition to our much anticipated quilt series. We will also have Tippi Spearmint, Ombré Gotham Pluot, Swallowtail Zaffre and an exciting new Hearts! Arizona will have a fantastic mix of Pavo classics and new designs. Is the space baby proofed and mobile baby safe? No. Please be aware of your children and keep a close eye on them at all times as you would do in any public space. The event will be catered by the lovely staff at Biltmore Phoenix. Please note that neither the food nor the space are not allergen-free. We do our very best to accommodate a wide variety of food preferences, but please be aware that we might not be able to make changes based on your food requirements. Does your wrappee have to be worn or may s/he come on the loose? The ticket price allows entry for the attendee and one wrappee, three years old and younger. You may either wear your wrappee or your child may be mobile. Please be aware of your child's location at all times. The venue at Biltmore Phoenix is not child proofed and will not be fully childproofed in any reasonable manner. Yes. We are required to charge sales tax on all purchases made at the Pavo Presents Arizona. Phoenix sales tax is 8.6%. If you are stalking for a friend, you should put your friend's name on the ticket during checkout. If you are flying in from out of state and all tickets are sold out (VIPavotee and GA), please contact us at contact@pavotextiles.com so that we may help you out. Historically, trunk shows have been small intimate events that allow a designer to meet and talk with their customers. Our trunk shows have proven to be a bit larger, but Erin and I work very hard to make sure that they still retain an intimate feel. There will be food and drink, mingling, most likely waiting in line to purchase wraps (we implemented a new system at the holiday party such that people would not have to wait in line, but would still have the opportunity to buy the wraps they wanted, but found people still wanted to wait in line), the historic setting at the Biltmore and many fellow Pavotees who can geek out with you about your Pavos. We look forward to meeting everyone! If you are worried about the trunk show experience, join us in Pavo Customer Appreciation, where we and past trunk show attendees can personally answer your questions. Link. Published on March 24, 2016 by Pavo Textiles. The Asheville trunk show is almost upon us. North Carolina is starting to feel like a second home to us and we are excited to be holding the trunk show at the Inn on Biltmore Estate. Yes—that Biltmore! And while the trunk show will be wonderful, we really do encourage people to wander the grounds and explore the gardens and the estate. A new exhibition just opened at the Biltmore, showcasing historic wedding gowns in film. If any one if interested in historic textiles, the display looks fascinating. When and where will the North Carolina trunk show be held? Tickets will be listed on February 29 at 12:00 pm EST from our website. Everyone is checked against our master list at the entrance to the venue. Those not on the list will not be admitted. There is the possibility that we might have tickets available for purchase at the door, but they are not guaranteed. We will let everyone know ahead of time if tickets will be available at the door for the Asheville Trunk Show. Unfortunately, we do not know the answer to this question. Our tickets for Pavo Presents Florida did not sell out, but our tickets for Pavo Presents Seattle sold out quite quickly, which was quite unexpected. What will be the exclusive VIP wrap for the Pavo Presents North Carolina? The VIPavotee wrap for North Carolina will be Vertex Sapphire. Vertex is the sibling to our Florida wraps, Convergence and Intersection. We will be introducing wraps from the New Form collection: Purple Hearts, as well as new and classic Guild wraps. The event will be catered by the lovely staff at the Biltmore. Please note that neither the food nor the space are not allergen-free. We do our very best to accommodate a wide variety of food preferences, but please be aware that we might not be able to cater to everyone's preferences. The ticket price allows entry for the purchaser of the ticket and one wrappee, three years old and younger. You can either wear your wrappee or your child can be mobile. Please be aware of your child's location at all times. The venue at the Biltmore is not child proofed and cannot be fully childproofed in any reasonable manner. Yes. We are required to charge sales tax on all purchases made at the Pavo Presents North Carolina. Asheville sales tax is 7%. If you are stalking for a friend, you will need to put your friend's name on the ticket during checkout. Historically, trunk shows have been small intimate events that allow a designer to meet and talk with their customers. Our trunk shows have proven to be a bit larger, but Erin and I work very hard to make sure that they still retain the intimate feel. There will be food and drink, mingling, most likely waiting in line to purchase wraps (we implemented a new system at the holiday party such that people would not have to wait in line, but would still have the opportunity to buy the wraps they wanted, but found people still wanted to wait in line), the historic setting at the Biltmore and many fellow Pavotees who can geek out with you about your Pavos. We look forward to meeting everyone! If you are worried about the trunk show experience, join us in Pavo Customer Appreciation, where we and past trunk show attendees can personally answer your questions. We know that you have been frustrated with the lack of response in regards to our stance on cultural appropriation and we regret not engaging in the discussion in a meaningful way. The discussions surrounding cultural appropriation and our own level of knowledge concerning cultural appropriation has increased substantially due to necessary, but difficult discussions. We initially designed Otomi, De La Sol and Unicornio based on what we thought at the time was appreciation. We realize now that we were wrong and that these designs are appropriation and that people were and are hurt by our decision to run these designs. We are sorry we culturally appropriated a design to which we had no right and we truly appreciate the time that people have taken to talk to us about this issue. The decision to discontinue those designs was made prior to our realization that these designs are appropriation, but we do take full responsibility for our actions. We have decided that we will also be discontinuing Hanakotoba and Harmony as well since these are designs to which we also have no right. We have let people down and we also understand that we have lost your trust and we will strive to do better. Our deepest apologies. Link. Published on February 04, 2016 by Pavo Textiles. We are finalizing up our plans for our holiday party in Essex. Can you believe that it is only three weeks away? I most certainly cannot. I am sure you all would like the details, so we've provided some answers to frequently asked questions below. We are all looking forward to seeing familiar faces and are hoping to see many new ones as well. When and where is the Pavo Presents Essex Holiday Party? We will also be hosting an open house at the Toy Store on Sunday 6 December 2015 from Noon to 3:00 pm! Tickets will be listed on Thursday 12 November at 16:00 EST from our website. No. Please email to cancel your ticket if you cannot attend the event. Everyone is checked against our master list at the entrance to the venue. Those not on the list will not be admitted. We might have tickets available at the door, but they are not guaranteed. We will let everyone know ahead of time if tickets will be available at the door for the holiday party. What time will the event open? The holiday party will end at 3:00 pm. If Pavotees would like to have an after party / evening of celebration, they are welcome to do so! Unfortunately, we are obligated to close out the event, take care of inventory, accounting, and other routine chores. This is something we absolutely must do. We may be able to catch up with you later, so let us know where you are! Please join us for our open house at the Toy Store the following day from noon until 3 o'clock at 166 Main Street in Essex. We have made enough tickets available to accommodate your travel plans and last minute purchases. Will I need a ticket to come to the open house? You do not need an ticket to come to the open house. What is the exclusive for the holiday party? Venus (100% cotton) will be making her debut at the holiday party. We also have Frost Candy Cane as a VIPavotee option if you prefer. What other wraps will be available for purchase at the event? We will have a woolie or two, Unicornio, a ring system in a new colorway and a few other lovelies, and a much anticipated surprise! I am flying into town for the Holiday Party. Are there any local accommodations you can recommend? Essex is a lovely, small town and we hope you love it as much as we do. Please find a list below of accommodations in Essex or in neighboring towns. Please note that the list below is not exhaustive by any means. The event will be catered the lovely chef and staff of C.K. Pearl. Please note that neither the food nor the space are allergen-free. We kindly request that you do not bring food or drink into the Toy Store. The ticket price allows entry for the purchaser of the ticket and one wrappee, three years old and younger. 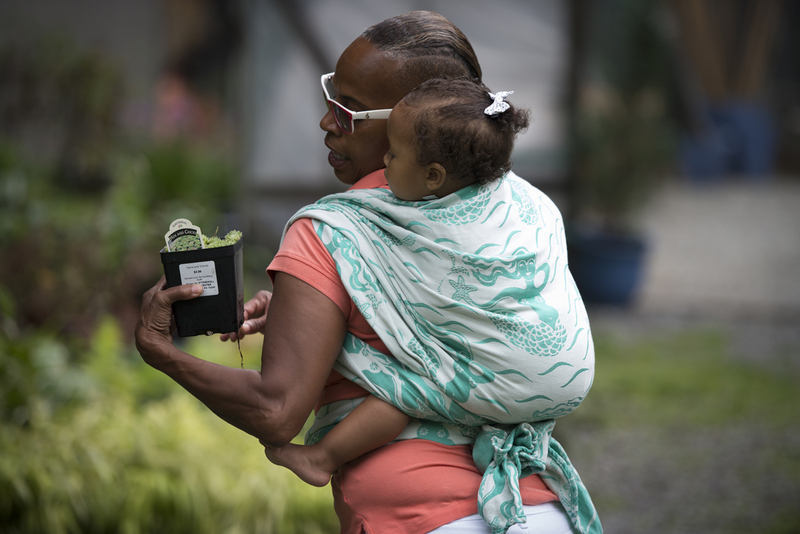 You can either wear your wrappee or your child can be mobile. Please be aware of your child's location at all times. C.K Pearl is not child proofed and cannot be fully childproofed in any reasonable manner. May I come and go? So if you bought VIP can you come at opening then leave then come back in again? Yes! You are welcome to come and go as you please. We might ask for your name again if you are coming back into the event. Link. Published on November 12, 2015 by Pavo Textiles. It seems almost surreal that the Seattle Trunk Show is just three weeks out. It only seems like yesterday when we were sitting in the Toy Store figuring out which date would be best to visit our Seattle Pavotees. We have had a number of questions about how the trunk show will work, so we thought we would answer some of them. If there are any other questions, please let us know and we will do our best to answer them. We're so excited to see everyone! When and where is the Pavo Presents Seattle Trunk Show? Tickets will be listed on 29 October at 3 o'clock PDT from our website. What is the exclusive for the Seattle trunk show? Frost Seattle (Frosty green fill on our natural warp). Frost Seattle is 100% cotton. We will have a few woolies, a special Duet, Unicornio and Luna Platinum. Should we expect general admission tickets to sell out within seconds? We really have no idea how fast tickets will sell. Do we have time to try for VIP tickets and go back for general admission tickets if we don't score VIP? Everyone is checked against our master list at the entrance to the venue. Those not on the list will not be admitted. Space is quite limited for the Seattle event, so we will not be able to offer tickets at the door as we did in Texas. Do all VIP tickets come with a Stalk Free Pass? Yes. All VIPavotee tickets come with a special Pavo Golden Ticket good for one stalk free pass for one wrap. If Pavotees would like to have an after party / evening of celebration, they are welcome to do so! Unfortunately, we will be unable to attend as we are obligated to close out the event, take care of inventory, accounting and other routine chores. This is something we absolutely must do. Are there rooms blocked off at the hotel? No. The trunk show will take place in the loft space of the restaurant Tulio, which is located in The Vintage Hotel. Please be aware of your children and keep a close eye on them at all times as you would do in any public space. The event will be catered by Tuilio. Please note that neither the food nor the space are not allergen-free. What would you like to be called? Jen, J$, Jennifer, Erin, Mavens, etc? J$ and Erin is good! The ticket price allows entry for the purchaser of the ticket and one wrappee, three years old and younger. 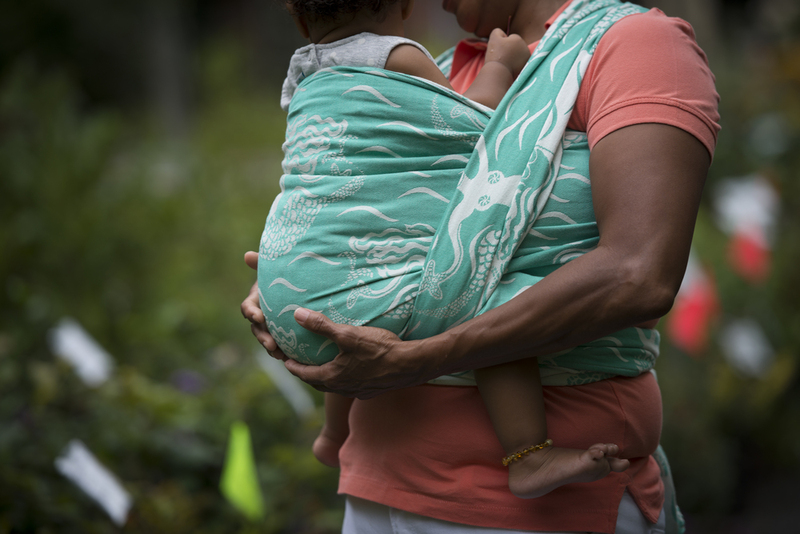 You can either wear your wrappee or your child can be mobile. Please be aware of your child's location at all times. The trunk show is being held in a loft space that is not child proofed and cannot be childproofed in any reasonable manner. Will items be tax free for Oregon residents? We will sell items tax free to Oregon residents who have valid ID demonstrating proof of Oregon residency. Please note that we will need to document proof of Oregon residency in order to offer tax-free sales to Oregon residents. Link. 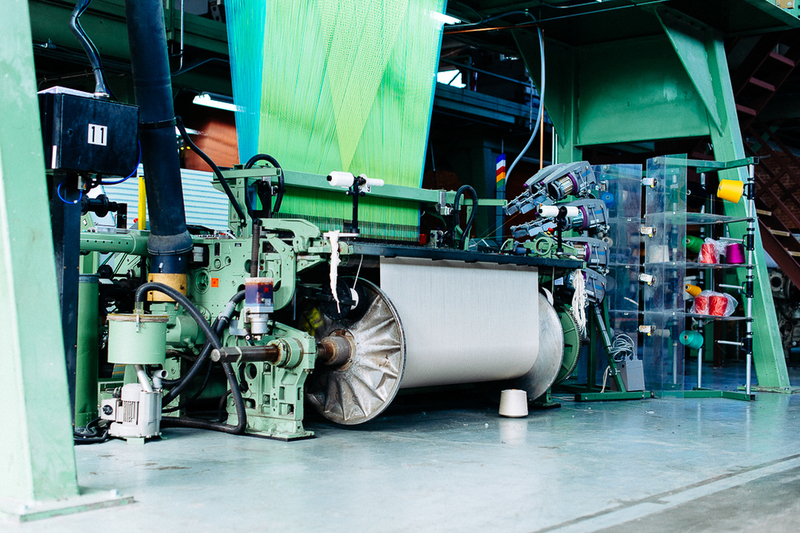 Published on October 29, 2015 by Pavo Textiles. We are often asked about the inspiration behind many of our designs. The design process is often slow and can take several months, and many times designs never make it off the table and into production. Otomí Temoaya has been a design that has been in development for over two years and we imagined it, with Bethanne Knudson of The Oriole Mill, as a way to honor the tradition and history of Otomí art and the too often anonymous women who create it. As a wedding gift, my family gave me an incredible and beautifully embroidered coverlet for my "matrimonial" bed, which had been embroidered by friends and family in Pátzcuaro. Otomí Temoaya was based off the embroidery for that coverlet. We struggled to find the right name for our jacquard interpretation of the art of Otomí. We wanted to give the respect and recognition to the women who create these magnificent pieces of art and while there is an Otomí community in Pátzcuaro, where I was first introduced to the art form, it seemed a better fit to give recognition to the cultural center of Otomí culture. As a child and into my adult years, I travelled regularly to Pátzcuaro in Michoacán to visit family and friends and it was here that I was first introduced to Otomí embroidery (see note 1). I was in awe of the freehand embroidery designs drawn by women so fast and so quickly before they embroidered; I was captivated by the bloom of brightly colored embroidery threads as women quickly pierced their needles through the cotton, giving those designs movement and life with every stitch (see note 2). But then, such magic as the gorgeous embroidered coverlets and table coverings were turned over. Anyone who has embroidered will know that one of the marks of exceptional embroidery is that the back side of the work will be just as beautiful, if not more beautiful, than the front or “right” side of the work. Most of Otomí embroidery is sewn using what is called a “fake satin stitch,” where the thread is kept at the front of the fabric instead of being threaded through to the back. The result is an amazing, tight outline of the design in tiny, tiny stitches. The “wrong” side is just as beautiful as the “right” side. The embroidery is an incredible piece of nuanced and complex art and I still feel that same excitement and awe I felt as a child when looking at Otomi embroidery for the first time. It has been a part of my family, a part of my visual culture for over twenty years now and I never tire of it. I am so deeply grateful to have been introduced to this craft and to be able to admire its beauty in a deep and profound way. I come from a family where the women sew and they sew damn well. I do not. No matter how hard I tried, the end of my threads would become tangled and knotted. My simple work routinely ended in a mess of stitches that had been pulled taut or stitches that were loose and waiting to be snagged and ripped. Despite my ineptitude, I did develop one very important skill: the ability to discern exceptional needlework and careful craftsmanship. I can almost catch a vague snapshot of the women in my family from the carefully folded quilts and embroidery I have stored in my cedar chest. Loose quilting stitches tell me of a quilting bee with a lot of laughter, gossip and joking. Tight angry stitches tell me of someone upset over a morning argument with a husband or sister. Careful, perfectly aligned stitches tell of the love and patience that went into the making of embroidered pillowcases for a new bride or a carefully pieced quilt for a new baby. The stitches are anonymous, but they tell the story of women, a story and a history that is often dismissed as insignificant, because the story of women’s work never makes the pages of history texts. These are the stories I look for when feeling older textiles between my fingertips. I want to learn their story. I want to know the women who made them; I want to hear the whispers of their dreams. Proceeds from the sale of Otomí Temoaya will be donated to IDEX, who support organizations that are working to develop social and economic parity for indigenous peoples, notably women, in Mexico. If you are considering buying Otomí embroidery, we strongly encourage you to buy fair trade Otomí pieces where the artisans, who are predominantly women, are fairly compensated for their work (see note 3) Casa Otomi is a good place to start. Note 1: (Otomí is not an "Otomí" endonym. The Otomí people identify themselves by their respective dialects, of which there are many. Hñähñu has been proposed as an alternative to Otomí, but it only represents one dialect, hence its lack of use). See David Charles Wright Carr. “Lengua, Cultura, e Historis de Los Otomís”. Arqueología Mexicana 13 (73): 26–2 and Jorge A. Suarez. The Mesoamerian Indian Languages for a more in-depth discussion of the intricacies and preservation of the Otomí language. This is a large and complex topic. The resources listed above are just a starting point. Note 2: Many Otomí women turned to embroidery to support their families after a series of droughts made sustenance farming untenable. The history of the Otomí people’s conquest and resettlement, as well as that of other indigenous peoples in the Americas, and its long reaching effects are documented in Alfred Crosby. Ecological Imperialism: The Biological Expansion of Europa, 900-1900; James Lockhart, Ed. We People Here: Nahuatl Accounts of the Conquest of Mexico; Miguel Leon-Portilla. The Broken Spears: The Aztec Account of the Conquest of Mexico; and Robert Ricard, trans Lesley Byrd Simpson. The Spiritual Conquest of Mexico. This is by no means an exhaustive list. Link. Published on April 08, 2015 by Pavo Textiles.